Event Format: 6-Game Guarantee. Bracket placement will be based on pool play finish. Metal Cleats will NOT be allowed at the Gold Eagle Sports Complex due to turf infields and outfields. No outside food or coolers at Golden Eagle Sports Complex, Shadow Mountain and Reno Sports Complex. 1. Entry Fee Paid in Full. 2. Minimum of 40 room nights with a Triple Crown Lodging Partner. 3. A completed Triple Crown Digital Roster. The 2019 summer marks the 23rd year for the Triple Crown Fastpitch World Series, which has become the preferred championship event for hundreds of softball teams from around the country. To keep it interesting for travel programs, the World Series is rotated between three alluring locations in the Western US. 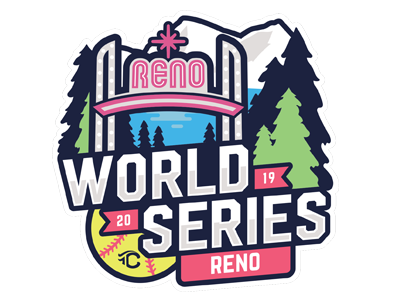 In 2020, the 14u event will take place in Park City, UT; the 16u and 18u will head to San Diego, and look for high-intensity play from the 10u and 12u teams coming to Reno/Sparks, NV.